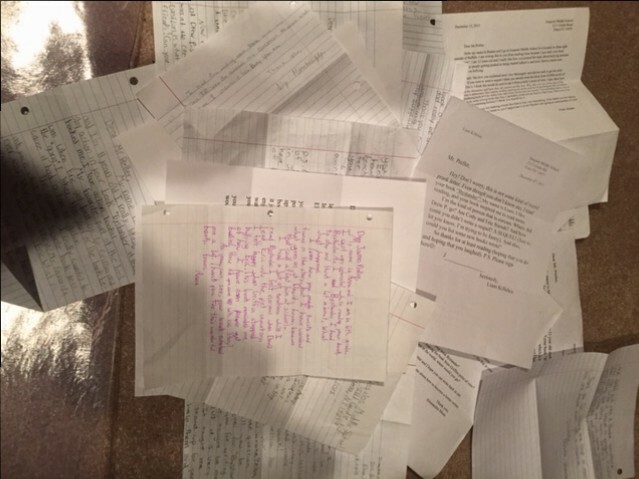 FAN MAIL WEDNESDAY #224: Still No Snow, Etc. 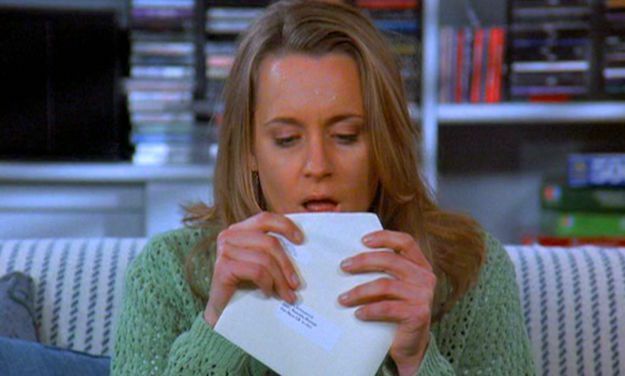 As we learned from Susan on Seinfeld, licking envelopes is a dangerous business. 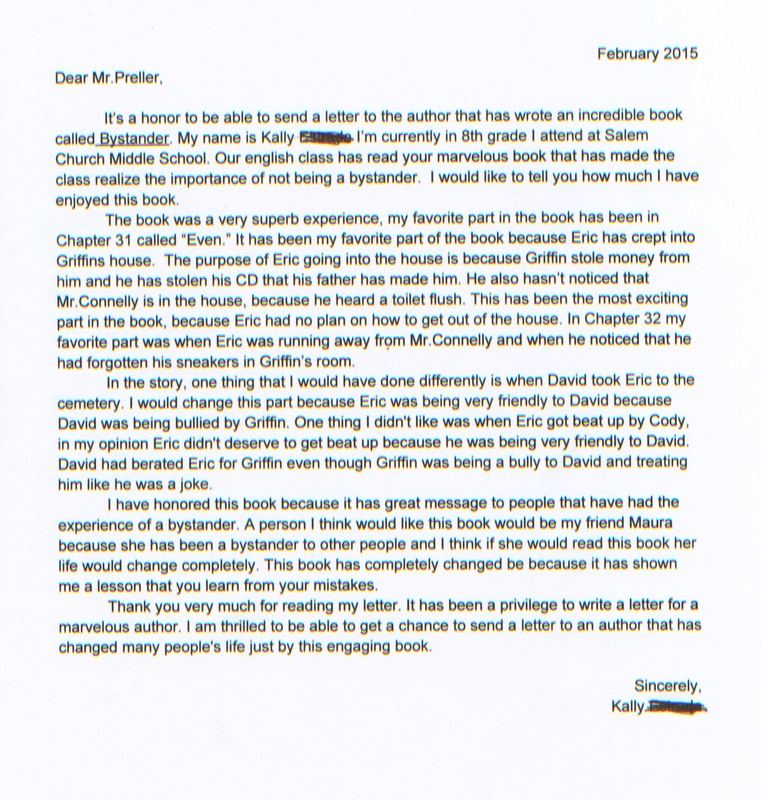 Just answered a big batch of letters about Bystander. Here I am, another Saturday. I’m reading reports of snow all over the Northeast, and outside my window: nothing. Not a flake. It’s almost a bummer. Almost. I’ve got a big pile of 25 letters from Elma, NY, including one from you. This feels a little like déjà vu. It is impossible for me to respond to each letter individually. It would also be dreadfully boring, since many contain similar questions. You all read BYSTANDER. So I’m sending out this single letter, one size fits all! Proof: The letters on my office floor. Anyway: Juliana wondered why Griffin would ditch his old crew. My intention was to show the reverse, that his friends had grown tired of Griffin’s petty cruelties; it wasn’t cool anymore. Research shows that bullying peaks in middle school, and quiets down after that. Partly I think that’s because people wise up. After the conformity of middle school, everyone trying to fit in, dressing alike, a lot of people realize that it’s okay to be themselves. Anyway, that was my thinking about Griffin moving on to new friends. He was forced to, since many of his old friends had drifted away. Remember, Griffin is not without charm. He’s smart, clever, good-looking, charismatic. Attracting new friends isn’t the hard part. The real trick is in keeping them. Valerie asked about the inspiration for different characters. Most of them were composites -– that is, bits and pieces from real people, things I read, etc. Real people were the starting points for David, and Griffin’s father, as well as Eric’s father, who is based lightly on my brother John, who also suffered from schizophrenia. Jessica asked for a signature, but was kind enough to add: “If not, that’s totally O.K.” Loved that! Many asked about a sequel. 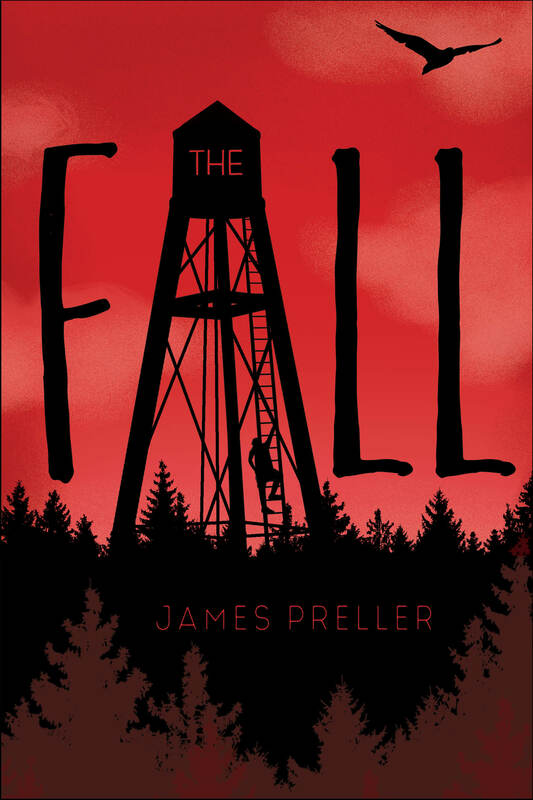 THE FALL is not exactly that, it’s more of a companion book, but it should appeal to readers who enjoyed BYSTANDER. I hope! 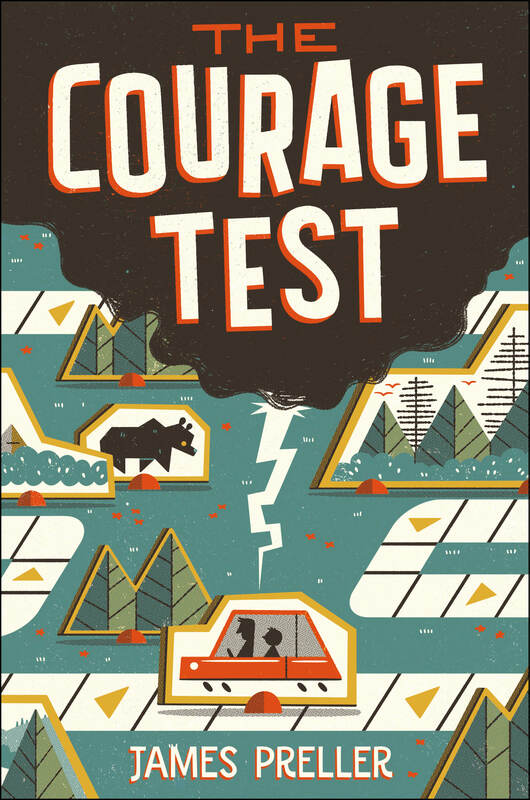 My next book coming out is called THE COURAGE TEST (October), about a father and son who travel along the Lewis & Clark Trail. I’m very excited about it. There’s a brief excerpt on my blog. Jenna says: “School ends in June so please write back if you can!” Yes, booyah, I just nailed another deadline! Jacob’s favorite part of the book was when Eric got beat up. Guess what? It was my favorite part to write! I’d never done that before in a book. I also set that scene at a real place by my old high school in Wantagh, NY. 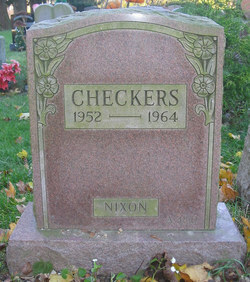 Yes, President Nixon’s dog, Checkers, really was buried by my school. Lily, that last scene is Eric’s wish, his heart’s desire, the reunion with his father that he longed for. Maybe it will happen, maybe it won’t. Ethan, no worries, I wasn’t bullied in school. Classic bystander type. But I remember everything. Coming in October, 2016: A father and son travel along the Lewis & Clark Trail, a road trip that offers readers a genre-bending blend of American history, thrilling action, and personal discovery. Aubrey writes: “My favorite character would have to be Mary because she basically changes throughout the whole book.” Yes, yes, yes! Mary may be a minor character, but she is critical and possibly the book’s true hero. She’s key, for exactly the reason you stated. Brilliant, Aubrey! For those of you I haven’t mentioned: Riley, Ryan, Lauren, Melanie, Ada, Owen, Daniele, Brandon, Mary, Ethan, Cal, Maggie (my biggest fan), Maddy, Anna, and Liam. Sorry, just ran out of time! Thank you, one and all. Teachers, too!